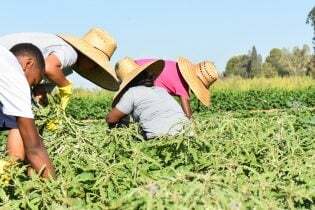 Meet the team of young farmers who make up the Sweet Potato Project in Fresno California! 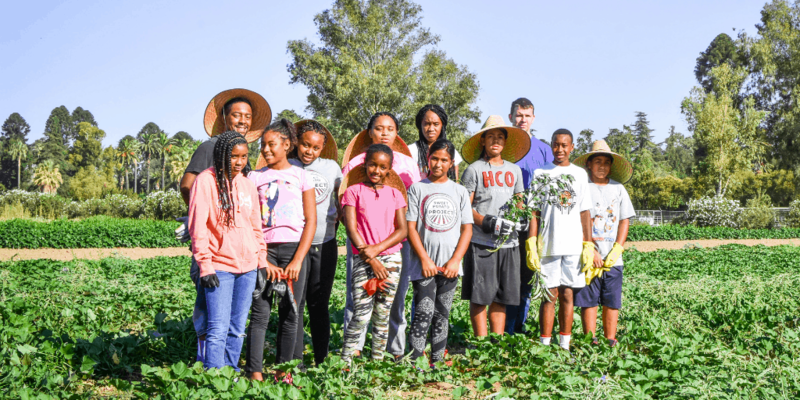 This young band of farmers was brought together by Yolanda Randles, executive director of the West Fresno Family Resource Center which created The Sweet Potato Project, to help youth in southwest Fresno stay focused and on-track for a bright future in agriculture or whatever field they choose. The program challenges the young farmers to plant, care for and eventually harvest their own sweetpotatoes. 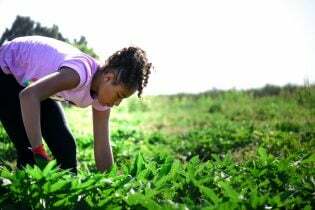 Upon harvesting the youth make and market a food product using the harvest. This year’s product is SP-rolls (sweetpotato cinnamon style rolls), which will be for sale to the community starting in October. Joy really liked the pitch process, “I liked talking about the product and seeing if the judges liked it.” For the youth, it’s not just discovering what it’s like to run a farming business, it’s also about learning to work as a team. Tiana learned the importance of communicating and making sure you have the right people on your team. 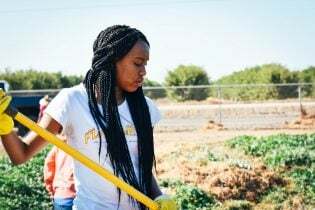 The youth farm on two acres of land donated for their use by the African American Farmers Association, which has played a pivotal, supportive role in the program. 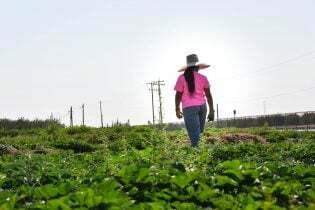 Will Scott, founder of the African American Farmers Association has played a leadership role with the project and as a farmer himself, has been able to offer the youth guidance. You can read more about Will Scott in a previous Meet a Farmer feature here. After the harvest is done, at the product is marketed and sold, all the young farmers agree that they like the money-making aspect of the project, and with the funds raised, they will treat themselves to a trip to Magic Mountain. The Sweet Potato Project participants like to give back to the community as well, they help Randles with a backpack distribution in August each year where they make it a point to recruit new farmers at the event. The number of youth participating in the program has grown from 17 to 35 over the past three years. The program is getting a lot of attention, Assemblymember Dr. Juan Arambula acknowledged the program on the house floor this year, you can see that here. 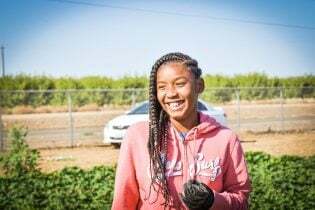 If you’d like more information about the Sweet Potato Project, you can contact Yolanda Randles at yrandles@wfresnofrc.org.